The portable five tier shelving rack conveniently stores within the LD500 cabinet for proper ventilation of its contents. 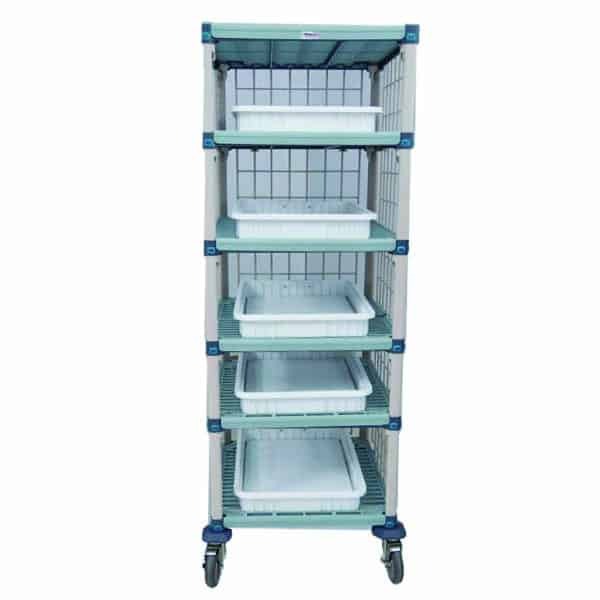 This rack eliminates the need to transfer trays and samples during intra-facility transport. Simply load specimens once; for both proper storage and future transport. The five diameter rubber casters allow for easy maneuverability throughout any hospital or laboratory facility. Includes (5) white storage tubs: 17.5 W x 22.5″ D x 3″ H (44.4 cm x 57.1 cm x 7.6 cm).